Sports Traveler is your full service travel agency! 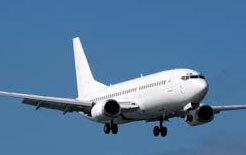 We offer flights, consolidated airfares, business class tickets, cruises, and all-inclusive vacations. Let us plan all your travels including leisure and vacation travel! Travel to Europe, take a Disney Family Vacation, tour Ireland or Scotland and play a round at St. Andrews. Enjoy a Caribbean vacation including Jamaica and the Dominican and new this year.. Cuba! Travel programs can be air-inclusive and are available for both group and FIT individual travelers.